Record registration and an environmental cause make for an exciting race. 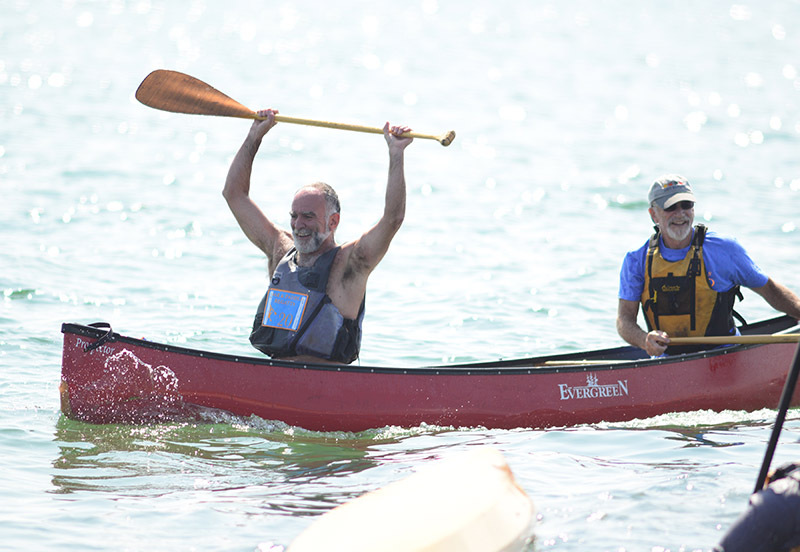 The end of August in Oak Bluffs is heralded, as it has been for the past 26 years, by the convergence of small watercraft on Sengekontacket Pond for the Oar & Paddle Regatta. 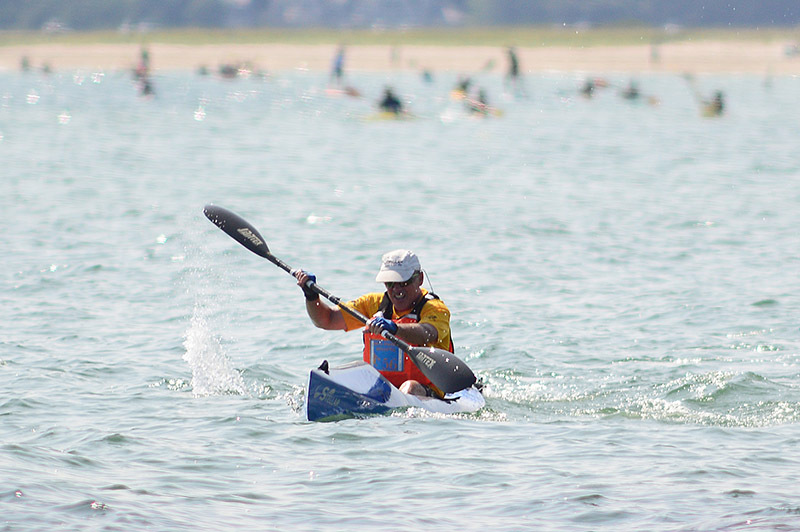 The race, on Sunday, August 26, at 10 am, is hosted by Island Spirit Kayak, and will test scores of paddlers, rowers, swimmers, and dogpaddlers on their watery wiles and aquatic athleticism. 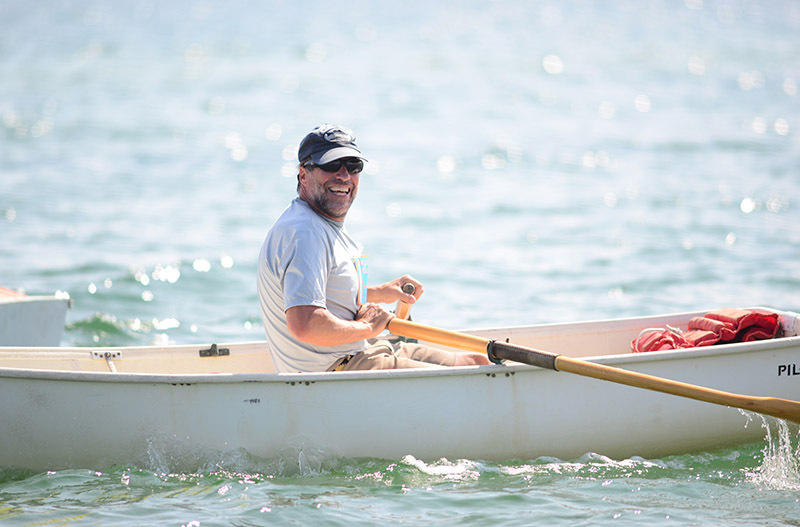 All proceeds from the race go to benefit Friends of Sengekontacket, the Edgartown nonprofit dedicated to preserving the environment of the tidal pond. The course is a 2.4-mile loop on both pond and ocean, starting and ending at Little Bridge, and passing under Big Bridge at the halfway point. 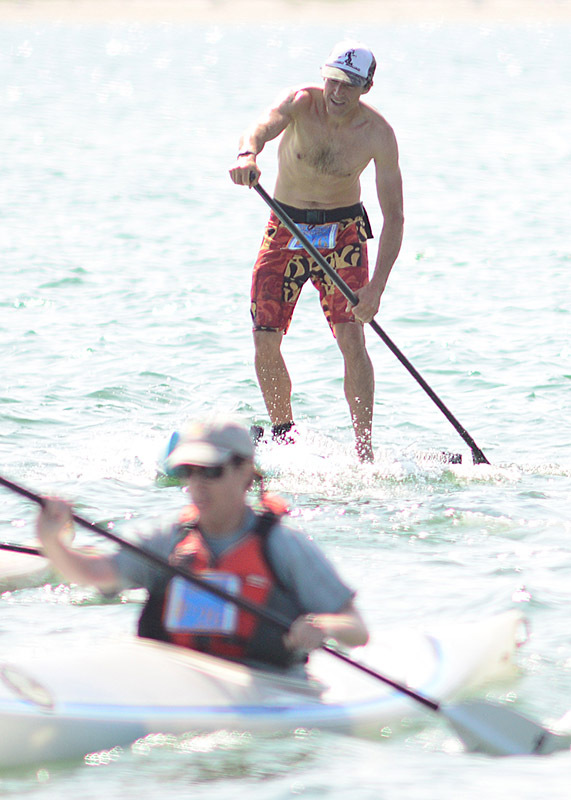 Registration is open at islandspiritkayak.com, and the $40 entry fee includes a kayak or stand-up paddleboard rental, a post-race picnic, and a T shirt. 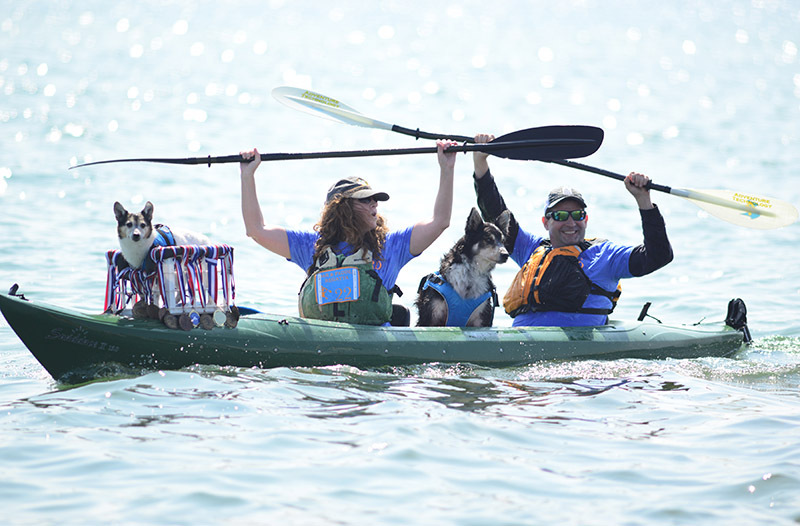 Entrants should expect to jockey with a variety of watercraft, from fleets of single and tandem polyethylene kayaks and paddleboards to a smattering of canoes, traditional rowboats, rowing shells, homemade wooden kayaks, and the odd swimmer. Dog owners should also take note: There is a category for paddling with a canine copilot, and in past years many a memorable mutt has mustered the moxy for a brief taste of the seafaring life. 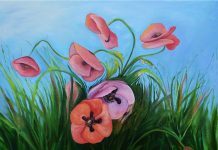 “The money that we are raising for it is really doing a lot of good,” said Stapleton, who has been a member of the nonprofit for the past nine years. 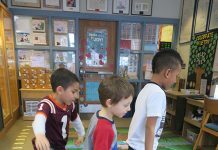 “We’re involving the community, and creating awareness about environmental impact on the pond.” Recent projects have included beach grass planting, educating Island children about the ecology of the pond, and frequent trash clean-ups on State Beach. The fundraiser’s conservation goals are now extended to the race itself. “It’s a green event, so no plastic this year,” Stapleton told The Times. She is encouraging entrants to bring their own water bottles and cups, to be filled for free at the race, and is distributing race memorabilia in reusable bags. Another new feature is a free sunscreen booth, where entrants can slather on non-aerosol sunscreen from bulk containers to reduce pollution and plastic waste. As interest in the regatta has surged, the race has taken more money and planning to pull off. The amount of people crossing the finish line was overwhelming race officials, so they switched to high-tech digital timing kits, sponsored by the watch company Oris. 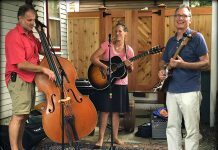 Many other sponsors from around the Island have helped to cover the cost of this year’s event, freeing up entry fees to benefit conservation on Sengekontacket. 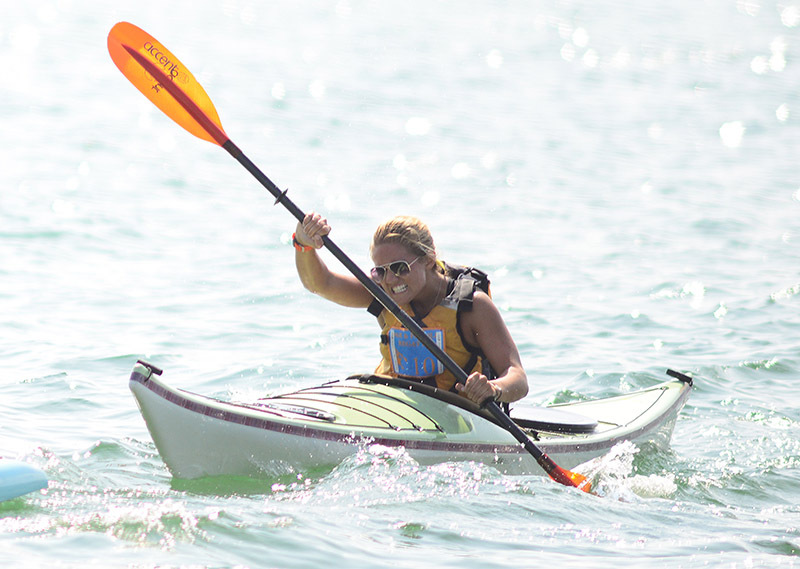 Contestants should keep an eye on the large and varied home team fielded by Island Spirit, made up of 16 experienced paddlers on kayaks and paddleboards. This year they’ve even ordered six extra-long, custom kayak paddles for use on paddleboards, potentially doubling the efficiency of those who wield them. 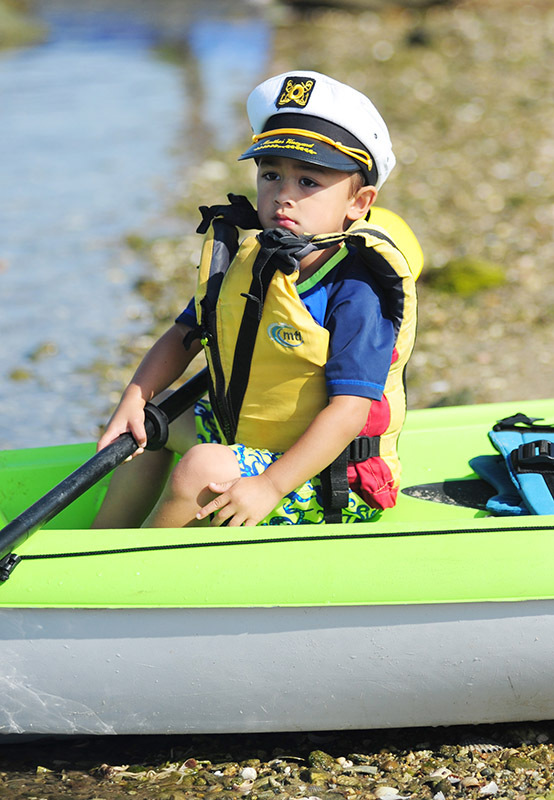 Another entrant from the Island Spirit family will be Collin Stapleton, age 7, who hopes to become the youngest ever to finish the race as a solo kayaker. Less streamlined competitors shouldn’t be shy about the race, either — it’s a good-natured hubbub of bobbing boaters and barefoot boarders, with much camaraderie. 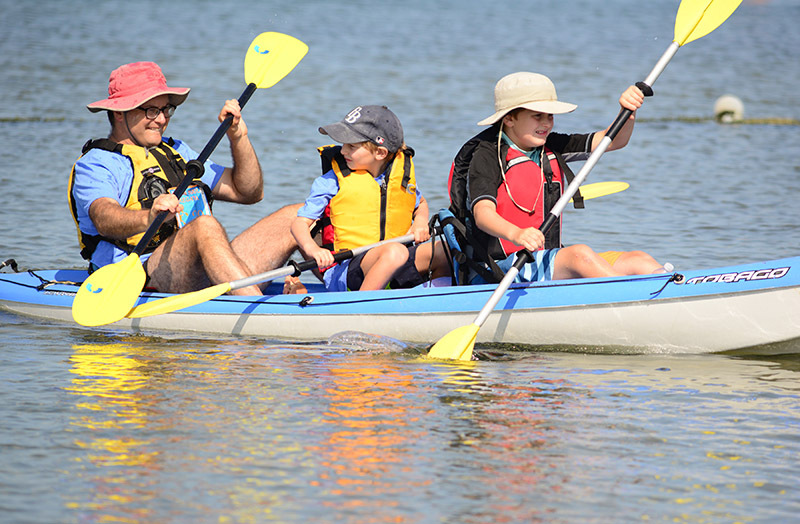 Besides the fleet of Island Spirit kayaks, it’s BYOB (Bring Your Own Boat), which makes for a great opportunity to show off interesting watercraft. Local kayak craftsman Randy Durbin, whose design took second place in last year’s race, has a few more wooden entries this time around, fresh from their display at the Ag Fair. 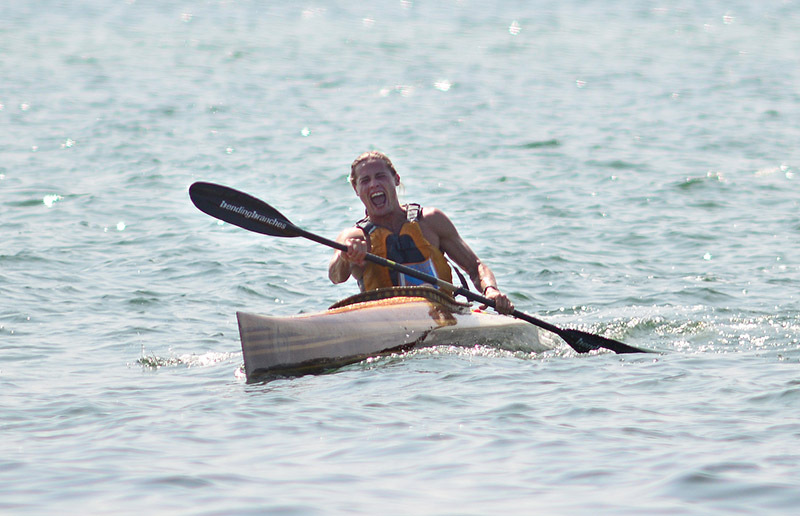 The real question this Sunday is whether a bold challenger can dethrone perennial champion Dana Gaines, who in previous regattas has flown like an arrow from a bow in his Surfski kayak. Last year, despite stiff competition, Gaines streaked across the finish line more than a minute ahead of the pursuit. Next articleN.Y.C. comes to M.V.